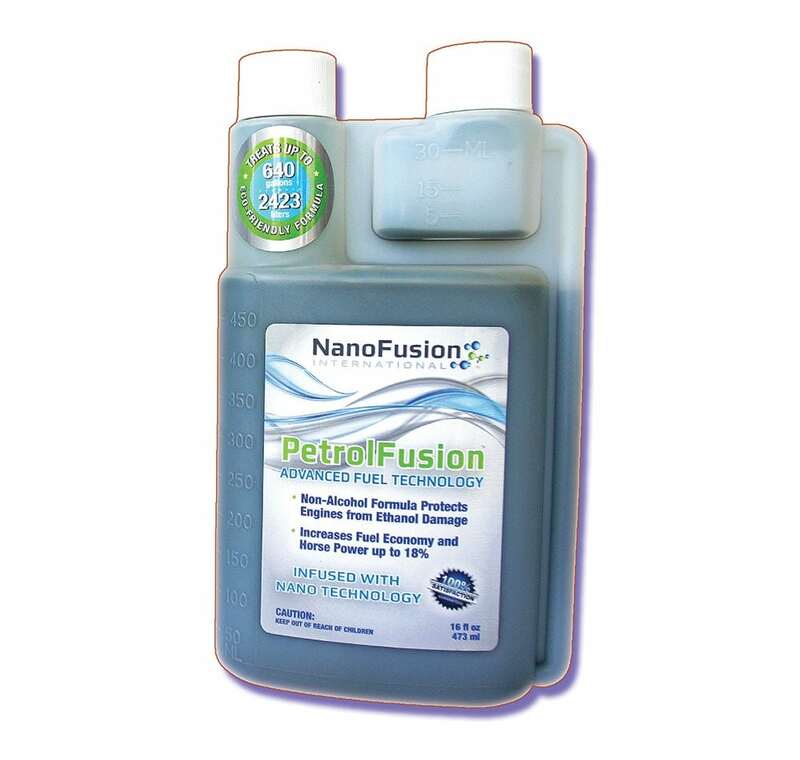 PetrolFusion is an advanced fuel catalyst technology infused with nano technology to protect gas engines, outboards and components from Ethanol damage. The nano micro lubricants in PetrolFusion reduce phase separation caused by Ethanol and coat engine components which defends against Ethanol damage and increases fuel economy and horsepower up to 18%. A pint of PetrolFusion treats 640 gallons and retails for $59.95. Contact DavidSHalcomb@gmail.com or call (262) 914-7002.